Personally I think this is unfortunate. As I have written elsewhere – Who will be the next King of Canada – our consitutional attachment to the British monarchy is an embarrasment indicating our unwillingness to grow up as a country. Fellow Canadians, in case you haven’t noticed, our head of state lives in Britain, and all these “royals” are residents of Britain, not Canada. 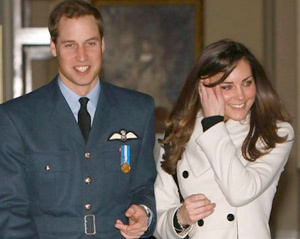 Yes, they occasionally stoop to visit “the colonies” and we swoon over them. But what else have they done for us lately? To those who argue that the importance of the monarchy for Canada is in the institution rather than the person, I say… that’s fine. But let’s establish our own institution. If you must have a monarch because you think constitutional monarchy is such a great system, then at least let’s make it our own monarch! Which means that far from being our “parents” the British were at best our step-step parents, and not by our own choice, but by imperial conquest. When the conquest of the French took place in the 1760s the majority of people living in what eventually became Canada were French and First Nations. We may think of Ontario, for example, as being settled and developed by English and Scottish immigrants, but the fact is until 1760 there were virtually no British people living in what is now Ontario. What we now know of as Quebec was occupied by descendants of French settlers. And what eventually became the rest of Canada was occupied by First Nations, a few French fur traders, and gradually by mixed-bloods or Metis. The first European settlement on the site of Toronto was not established until 1750 – and that was a French fur trading fort. The earliest Euro-settlers after 1760 into much of “British North America” were not British either – at least not directly. They came from the newly formed United States after the end of the Revolutionary War, mostly in the 1783 and 1784. These were the “United Empire Loyalists” most of whom had sided with the British in the War. But by no means were most of the UELs British. They had settled in the U.S. from various places in Europe. My own family, for instance, had German roots, as did the Mennonites who settled in what is now the Waterloo Region. The Six Nations who settled along the Grand River in Ontario were “British” only to the extent that they had sided with them in the war. Many UELs were also freed slaves – not exactly your typical British subject. It was not until after the basic structure of the colony had taken shape in the 1790s that English, Scottish and Irish immigration took place on any large scale. This was the beginning of the “modern” British Empire that lasted through the 1800s until it was essentially dismembered by World War I. This was the period during which Canada became a British colony – the period of British exploitation – a source of raw materials for British factories, a market for British goods, and a source of soldiers and sailors for British imperial exploits around the world. It was these very attachments to Britain that Canada’s leaders fought for more than a hundred years to break during the long climb to independence. From the Canadian point of view the absurdity of “loyalty to King and Empire” became most vivid during WWI when thousands of Canadians were sent by British (and Canadian) commanders to be slaughtered in a pointless war that established nothing. We “celebrate” these sacrifices every year because we honour the deaths of the innocent heros prepared to give their lives for what they were told was a vital national cause. But we can no longer honour the cause, because we know better. It is these attachments to imperial “glory” and class structure and our own subservient colonial status that the British monarchy represents more than anything else. It is high time to stop celebrating this dubious past and push on to our own Canadian future.